You might recall last year that I wrote a post on this blog that talked about using IFTTT to simulcast a WordPress blog onto a Blogger blog. Several of you asked if it were possible to go in the opposite direction, i.e. post to WordPress whenever you post to Blogger. Of course it is, and Janet over at Janet’s Smiles is doing that now. http://www.a-to-zchallenge.com is and will remain the official blog for the A to Z Challenge. We have only established the WordPress simulcast blog as a way for you to post comments if you can’t post them to the official one. All that will be on the WordPress blog will be duplicates of the posts on the official blog. Blogger users can comment at the WordPress site. You will need to enter your name and email address (which, as always, will not be displayed). If you enter the URL of your blog, readers can click on your name and go to your blog. You won’t have to do any fancy coding to leave the URL of your posts in the comments on the WordPress site. Simply paste the URL into the comment, and WordPress will make it clickable. We hope this will make the process of leaving comments for the A to Z Team and others to read simpler and less aggravating. In an upcoming post, I’ll address the issue of leaving comments on both platforms. If you have any questions, you can leave them for us on either blog. Looks good. We’ll see if this experiment helps. Bring it on WordPress bloggers who are having problems leaving comments on the main A to Z Blog site! Based on the comments, I’d say it’s a winner. Cool! I know cross-platform commenting has been an issue with some WP bloggers in previous A-Z. There are a bunch of reasons I went with WordPress over Blogger, and the comment system is a big one. This will be helpful for us WordPress bloggers, Thank you! Looking forward to the challenge! You’re welcome! Just sorry we didn’t do it sooner. This is great…I find commenting on blogger quite difficult sometimes. I’ve also noticed, some Blogger blogs don’t allow you to leave your link via a code which is annoying. WP commenting is so much easier! Blogger doesn’t allow you to leave a link that opens in a blank tab (target=”_blank”), and a lot will depend on whether the person running the blog will allow links in comments. Anyway, I’m glad this works for you! I found trouble in posting the comments at the Blogger site. But, this WP site is great. It solved that commenting problem. Thanks for that. Loving this! Cannot wait for the first post thread to go up. Woo hoo! I helped make something happen. Whoopie! 😀 You might want to check out all the extraneous coding on the “A” post. I don’t think a straight copy and paste is going to work. Thanks so much for this site!!! I’m a happy camper. Next Next post: Last minute tips! 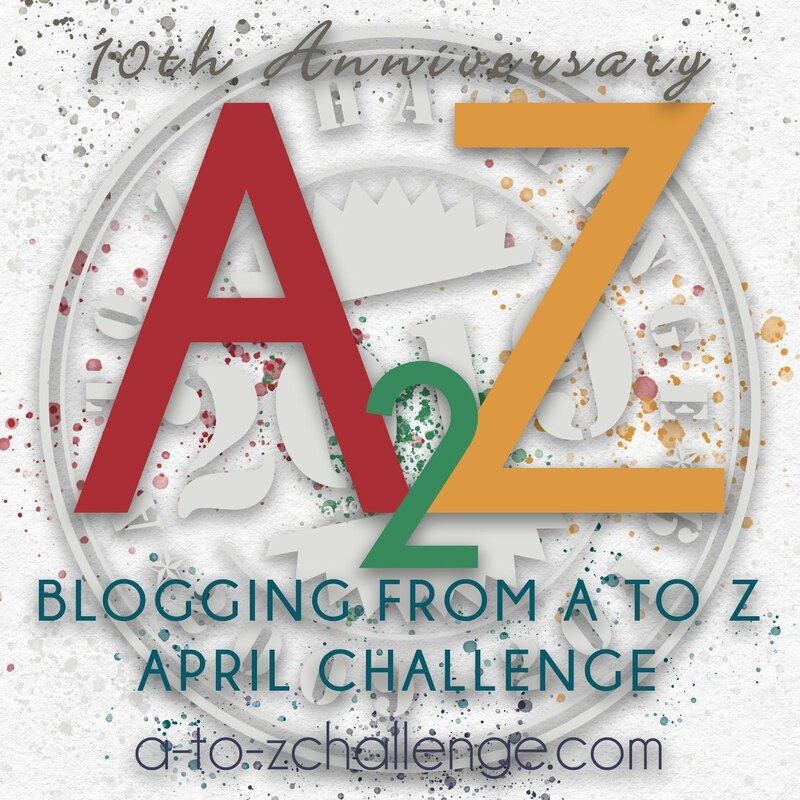 The #atozchallenge is almost here!